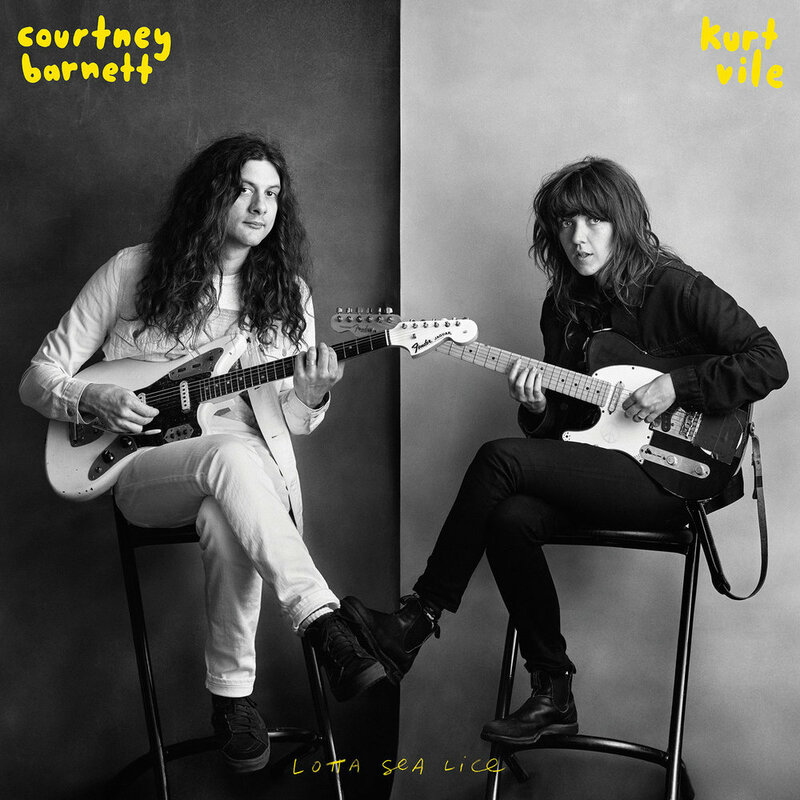 Courtney Barnett + Kurt Vile recorded a record together and now I can’t stop thinking about it. After social media posts teased an epic collaboration of some of indie rock’s greatest muses, my fantasy came true come this October: Courtney Barnett and Kurt Vile made an album together. The dynamic duo of indie rock’s greatest created their first collaboration in this 2017 LP, Lotta Sea Lice. The month of horror was greeted with a track list that celebrates new bonds and getting over everything (Listen to Over Everything by Courtney + Vile). Among a variety of noteworthy covers and collaborations with outside talent from the likes of Warpaint, Lotta Sea Lice lends a spark of indie rejuvenation to listeners of both Barnett & Vile. Whoever said indie rock is dead was and is presently wrong, in fact. The LP gives off a sweet mixture of classic rock + indie + mellow bluegrass, alerting this immediate sense of pure and simple logic: This album was already bound to happen and finally did. And for that, I am thankful. The fact is, I would love a relationship like Barnett & Vile’s. And not a sexual one, if that’s what your mind drifts to. These two are just friends. Listeners are granted an insight into the world of these combined musical masterminds. From the warmth of friendship that parades through the Lotta Sea Lice tracks, Barnett and Vile’s music styles combine that sadistic rock emo + bluegrass that we all know well, but in their first collaboration, all of that is elevated. They simply have a way of making each other better by creating alongside one another.